There are a number of government and non-government services that can assist health workers to care for patients from a culturally and linguistically diverse background. The Refugee Health Network Queensland builds capacity, partnerships and facilitates coordination of care across health, settlement agencies, communities, government and non-government sectors. The Network's website has an extensive collection of resources on healthcare for refugees and people seeking asylum. Multicultural Affairs Queensland (MAQ) is responsible for promoting positive community relations and providing advice on multicultural issues, coordinating multicultural policy development and planning across the Queensland Government. MAQ publishes the Queensland Multicultural Resource Directory which provides a comprehensive listing of more than 1500 key organisations with an ethnic community focus in Queensland. Topics include: health services, aged care, child care, counselling, refugee services and community groups. The Department of Social Services website provides an overview of service provider locations for the Humanitarian Settlement Program across Australia. Links to multicultural organisations and further information about multicultural and health services. 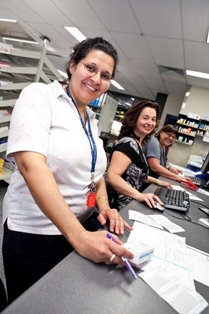 Contacts within Queensland Health who have a specific focus on multicultural health issues.